Every detective has one. A Case that pushes them to the brink. A case that takes hold of them and won't let go. A case so intense and personal it hurts them. And when a real detective tells you their 'garden shed' case, you never forget because nothing beats a true story. Real Detective brings to life the real 'garden shed' story, blending the worlds of true crime documentary and scripted storytelling to deliver the most authentic, personal and riveting crime series. The detectives, the victims, the mysteries, the emotion, the grit and the imperfectness of it all will captivate like no other. 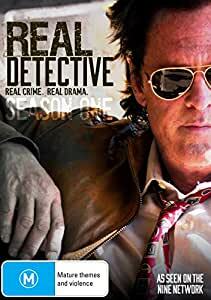 Each episode is constructed around real life crime--an investigation with dramatic twists and turns, wrong leads, personal challenges, the catching of the bad guy and justice being served.